La Jolla Playhouse is producing The Hunchback of Notre Dame based on the Victor Hugo novel and featuring the Oscar-nominated scored by Disney's 1996 animated film. Librettist Peter Parnell crafts a bold, highly-theatrical take on the classic tale of the scorned, hunchback bell-ringer Quasimodo, the beautiful gypsy Esmeralda and the handsome Captain Phoebus in 15th century Paris. The Hunchback of Notre Dame is the only stage collaboration from two legends of the American musical theatre, composer Alan Menken and lyricist Stephen Schwartz. 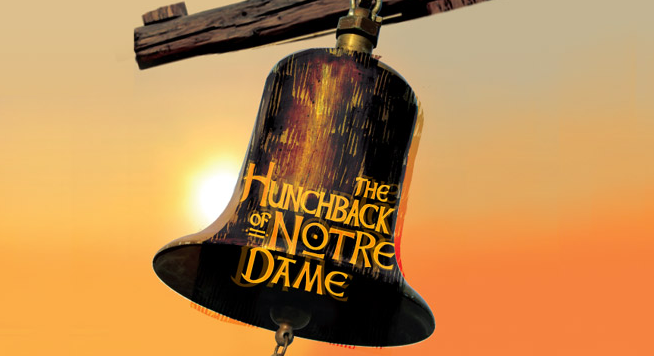 Produced in association with Paper Mill Playhouse, by special arrangement with Disney Theatrical Productions, The Hunchback of Notre Dame will run October 26 – December 7, 2014 in the Playhouse’s Mandell Weiss Theatre. Tickets for The Hunchback of Notre Dame are currently available at LaJollaPlayhouse.org or by calling (858) 550-1010.